We sat down with her to chat about how she found the overall process and how she is finding the programme. What attracted you to this apprenticeship? When I saw the role advertised, it really spiked my interest. I’d been looking at taking a year out, finding a job and taking some time to work out what type of college course I really wanted to do. The fact that this apprenticeship leads to a BA (Hons) degree in Insurance Practice after three years felt like the perfect fit for me, so I applied for a few different roles I saw advertised on the site and was offered the job at Aiken the day my leaving cert exams finished. How are you finding balancing work and study? The transition wasn’t such a big difference for me, as while I was in school I had a part-time job, so was used to working and studying together. However, the flip to part-time studying and full-time work has definitely taken some getting used to and to be honest, I still am getting used to the independent style of learning and studying opposed to classroom based learning. At times it can feel like you are under a lot of pressure. With work deadlines and coursework deadlines, it can be a lot. The great thing is though that there are so many people around you willing to help, from The Institute, the lecturing staff and in the office, that in reality, I have found you are never alone. How does the lecturing element of the programme work for you? I work four days a week on the job, and spend one day doing online interactive lectures, streamed to me at my desk with Sligo Institute of Technology in subjects such as sales and customer service, technical communications, e-business and service development. It’s a really great format and one of the biggest benefits I find is that by being in the office, you have plenty of people on hand to check things with should something not be making sense or you want to understand a bit more practically the implications of the topic you are learning about. On a typical working day, I arrive at the office before nine and get set up at my desk. The first thing I start to work on are my daily tasks (i.e. responding to emails, chasing information etc.) and once completed, I will usually give a helping hand to one of the numerous departments in the company. As the day progresses, I will be assigned different tasks from these departments which I really enjoy as it enables me to gain a greater understanding of what each part of the business does. Just as with a studying day, if there is something I don’t fully understand or I’m not sure of, I will ask questions and there is always someone there to answer and help me understand. Each day is learning experience and some are harder than others, but I’m finding myself becoming a lot more familiar with the industry as the days go on. What are the main benefits of doing the apprenticeship for you? 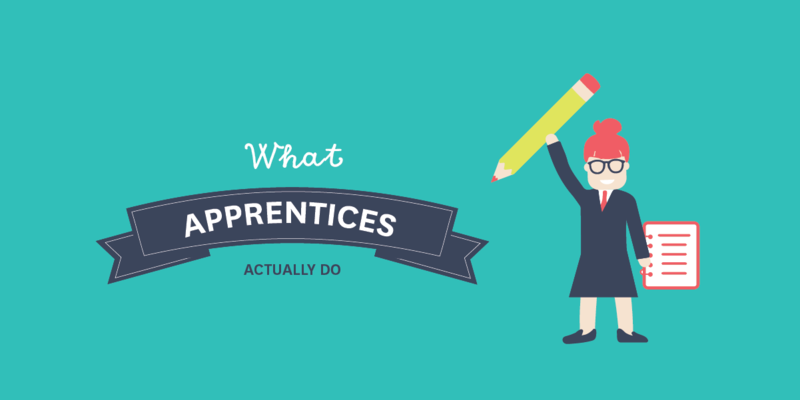 Being an apprentice you get a sense of the real working world and what it entails. I think it is a great learning experience and really helps prepare us for our future careers in the industry. I think the main benefit for me however, is the real workplace experience we are being exposed to, especially coming from school where you are constantly being minded and ‘spoon fed’. I have gained a whole new independence and sense of responsibility that many of my friends and other school leavers don’t get to experience until much later in life. When I am 22, I will have an honours degree and three years on-the-job experience for which I am being paid a salary. Not many of them will have the same. What are the biggest challenges you have faced so far? For me, as a school leaver it was definitely a major change. At the start I really found it difficult working full time while many of my peers had much shorter days in college or were off for long periods together at the same time. I got used to it very quickly though and once into this new routine and environment, it was hard for me to picture myself anywhere else. Changes in the daily routine I had been used to for years was one of the toughest parts, especially the difference in the school and work environments. 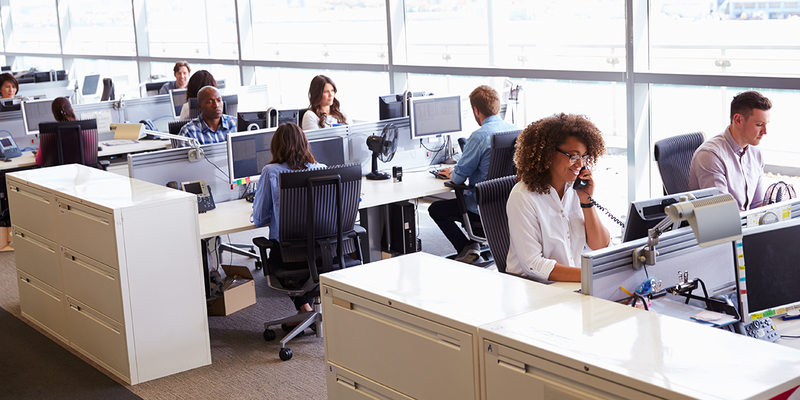 Working in an office took some time to adjust to, particularly adopting the appropriate workplace etiquette. The positives definitely outweigh the negatives however and when I step back and take a look at where I am in terms of experience and knowledge, I know I have made the right decision for me. Do it! The big thing for me, was that when I was looking at college courses, nothing really stood out, I couldn’t visualise what I would be doing after those courses had ended. But when I was researching the apprenticeship, I got really excited at the start and began to picture myself in this role which really sold me on it. If you are in your final year of school at the moment and as I was, are struggling to find what path you want to take for your future, don’t worry, you aren’t alone. Many are unsure about the more traditional learning style that we have been in for years, but if you want something refreshing, new and more challenging, then this apprenticeship is definitely worth taking a look into. I am so happy I did and I haven’t looked back since.